Rarely does the least expensive solution possess best-in-class features…That changes with the launch of Axiom’s new i2R CNC machining center. 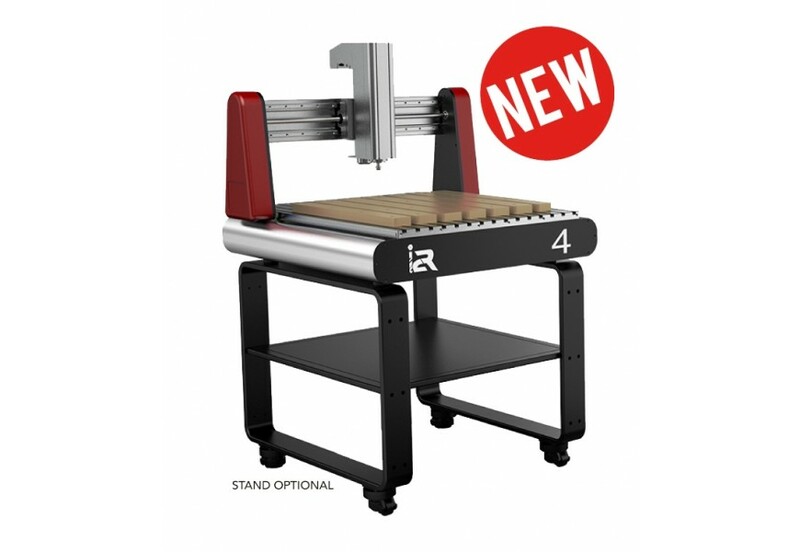 The best technology and components have been selected to build what will surely be the new king of the entry-level CNC market. 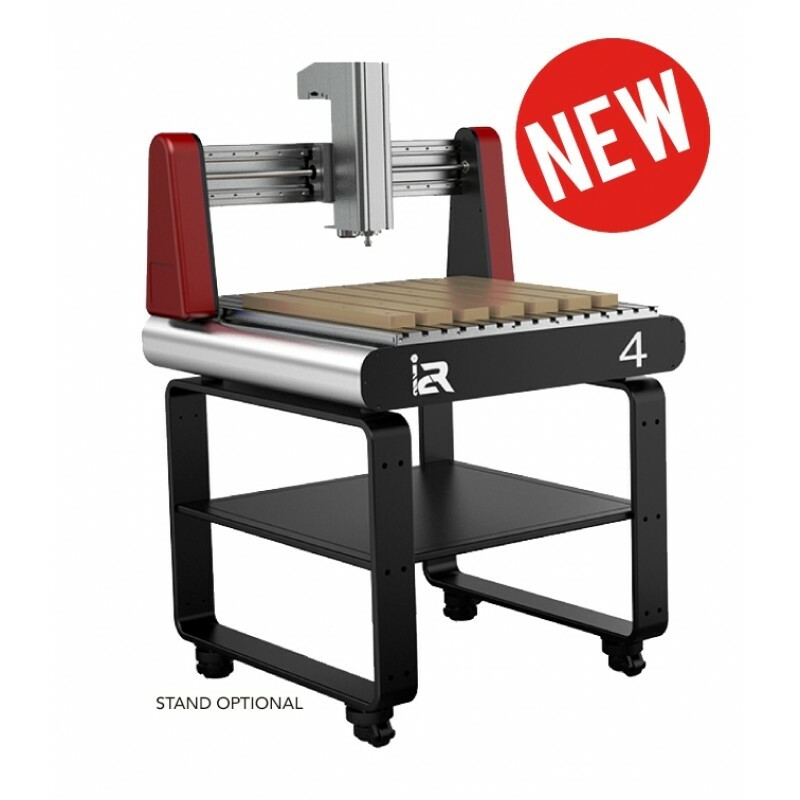 The new i2R CNC series includes three sizes, each with prismatic guides, ball screws, and the same powerful, yet easy to use, DSP pendant controller which we utilize on our larger machines. 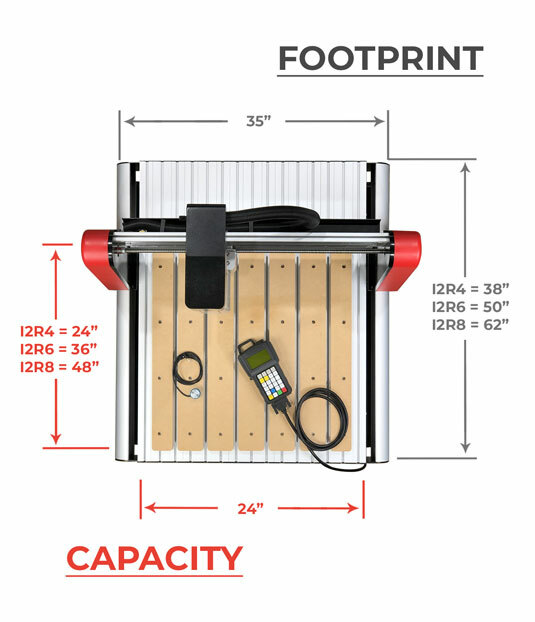 We also provide a full complement of accessories ensuring that you’ll receive a package that’s specifically tailored to your CNC needs. Targeted specifically at the first-time CNC user, the new i2R lineup will be supported with a comprehensive manual and video library which are intended to dramatically shorten a new user's learning curve. Table work area i2R-4 = 28.4" x 37"
i2R-6 = 28.4" x 49"
i2R-8 = 28.4" x 61"
Shipping Dimensions i2R-4 = 40" x 37" x 15"
i2R-6 = 52" x 37" x 15"
i2R-8 = 64" x 37" x 15"